Is Proper for Indoor Jungle Gym to Hold Foreign Festivals for Celebration? With the profound development of globalization in our country, culture and custom from foreign countries are gradually becoming a part of our daily life. People today are tolerable with the exotic culture and some even show a very passionate attitude toward it. Among all the exotic cultures, one that as popular as hot cakes is the foreign festival, like the Valentine's Day, Christmas, The Halloween, etc. It is a strange thing that these festivals share even more prevalence than our traditional festivals among people, including children. Some schools and indoor jungle gym would hold these festivals for celebration and kids are always happy about it. However, some parents say that there is no need for indoor plunge gym to hold foreign festivals for they think kids need more education about our traditional ones. While as a young man in this highly globalized world, I think it doesn't make sense at all. 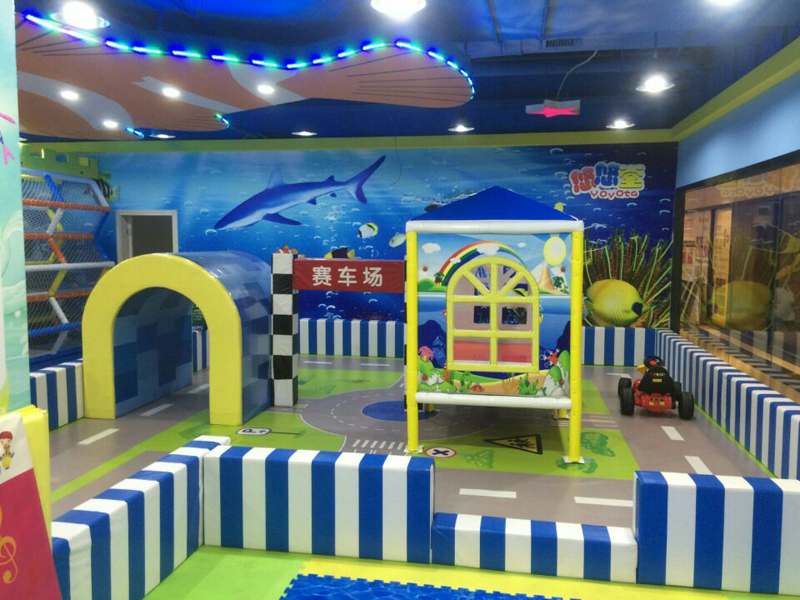 For one thing, jungle gym is a place for happiness, it is advisable to take in activities of different form to amuse kids so that they can have a good time there. In our society, we've already got the cage of traditional school to prevent kids from doing anything that seems to be abnormal for parents. So in the indoor jungle gym, children should be given the chance to completely relax down to play games and enjoy their childhood. Holding the foreign is a helpful way to light up children's spirit by organizing some interesting games rather than have them to play by their own. Meanwhile, holding foreign festivals for celebration doesn't mean that we are going to throw away our own tradition and will lead kids to the wrong direction, on the contrary, we can take the chance to innovate the form of our traditional festivals by injecting the good party of foreign custom to make our traditional culture more attracting for kids. For another, holding western festival in baby jungle gym for children is an efficient way for education. Actually, it is not only the knowledge about our own tradition important, but also that of foreign countries. There is an old saying in our country that it is by knowing your competitor well that you can get more chances to win. The same is true of foreign knowledge. Since we can't resist the process of globalization of our country, then what we can do is to accept it. To make it a necessary factor for further achievement. Then we'll see the necessity for indoor jungle gym to hold foreign festivals for children.